Learn about the Science of Roller Skating at Great Skate in Glendale from 9 a.m. to noon Tuesday, June 17. 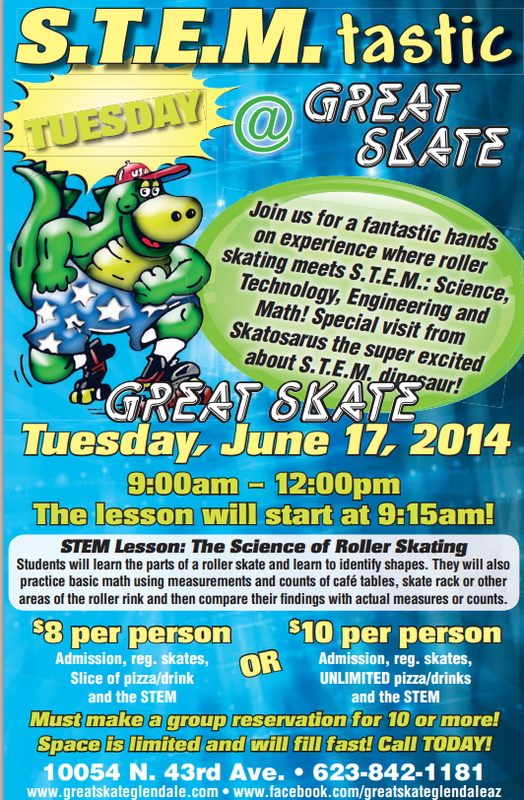 STEM Lesson will start at 9:15am and students will learn the parts of a roller skate and learn to identify shapes. They will also practice basic math using measurements and counts of cafe tables, skate rack or other area of the roller rink and then compare their findings with actual measures or counts. Groups of 10 or more – please make your reservations now as space is limited! Held at the Great Skate at 10054 N. 43rd Avenue in Glendale. 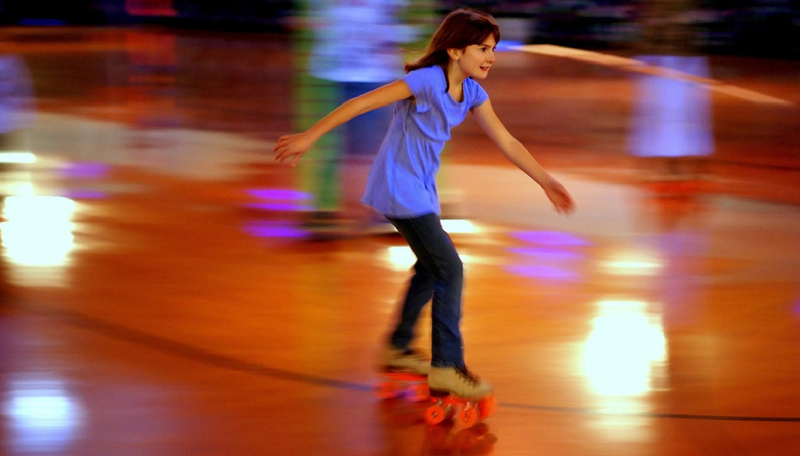 For more information, call 623-842-1181 or go to http://www.greatskateglendale.com.